ClearBrite have been Brisbane's Residential and Commercial window cleaners for over 20 years. During that time we've cleaned 1000's of windows - and built many great relationships. Family owned and operated for over two decades, ClearBrite has established itself as a leader in residential and commercial window cleaning in Brisbane. We are not a franchise and strongly believe in old fashioned customer service. Our equipment can reach those difficult high windows and our spotless system allows us to tackle those high volume, heavy duty commercial jobs. If you want a personable local window cleaner, whether it be for a house, apartment, townhouse, unit, investment property, rental property, office space, commercial showroom or retail shop front, give us a call. Brisbane | Logan | Gold Coast | Sunshine Coast | Cairns | Queensland Wide. What's the point of a great view if you can't see it clearly? Having a great view of the city or a beautiful garden is a whole lot better when you can see it without grime, dust and pesky finger prints. The ClearBrite team are fast, eco-friendly and only use commercial-grade equipment so your windows sparkle once again. Two of our most in-demand property types for home window cleaning are Apartments, Units and Townhouses. Houses are also extremely popular and can occupy some of the best locations in Brisbane often with city, river or regional views. DELIGHTED TO BE CLEANING QUEENSLAND WINDOWS! Most of our window cleaning in Brisbane Northside suburbs comes from CBD, Spring Hill, Fortitude Valley, Newstead, Hamilton, Ascot, Red Hill, Milton, Paddington, Toowong and Indooroopilly. Popular suburbs on Brisbane Southside are Balmoral, Hawthorne, Kangaroo Point, Bulimba, South Brisbane, East Brisbane, West End, Yeronga, Woolloongabba, Greenslopes, Mount Gravatt and Carindale. We also repeat clean a large number of single and double storey homes in the areas of Springwood, Shailer Park, Rochdale, Rochdale South, Daisy Hill, Cornubia, Mount Cotton and Redland Bay. 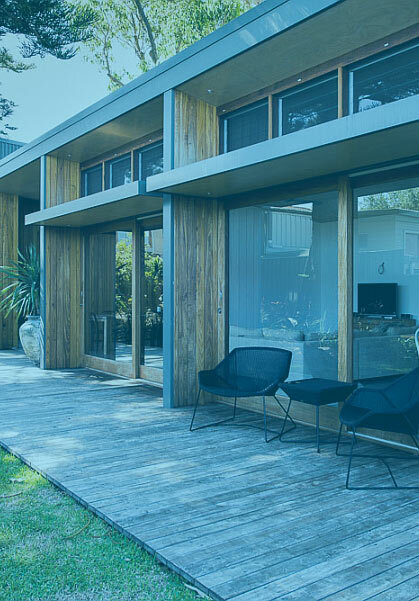 Whether it be city glimpses, lush backyards, bushland, mountain ranges or family entertainment areas, every view demands sparkling clean windows. We are window cleaners and we are at your service. Calling us for a professional residential window clean prior to an auction, property valuation or open house could change the perception of your home to buyers and add perceived value to the property. The financial investment for a full house window clean could be as little as a few hundred dollars so it makes sense when the return could be 1000's. We guarantee our work and love exceeding expectations. If you are unhappy with the cleanliness of your windows, we'll come back! Making sure that you are happy is paramount. We target 5 Star customer experience every time. We are your Residential Window Cleaning specialists! Our commercial-grade high-reaching equipment makes all types of large-scale window cleaning possible. We utilise a powerful spotless pure-water system that leaves windows clean and ready for business. We understand that you have better things to do with you time and those hard to reach windows are no problem for us. Our day usually starts at around 4am where we clean dozens of retail shop fronts across Brisbane, ready for a busy day of trade. When first impressions mean so much to a customer, having clean and inviting display windows in business is a necessity. Cleans are usually completed on a monthly or bi-monthly or quarterly basis depending on customer traffic and the type of business. For example, Restaurant managers usually have the headache of low-lying children's finger prints to contend with, whereas Real Estate offices tend to have long oily smudges at head height from buyers leaning their faces against property displays. These types of businesses are high-traffic and typically cleaned bi-monthly. We're happy that majority of our work comes from referrals. McDonald's, Starbucks, Gloria Jeans, Just Jeans, Spec Savers and The Coffee Club are just a few of our valued regular clients that trust us to keep their business shop front glass looking crystal clear. We are your Commercial Window Cleaning specialists! NOTICE: Due to higher volumes of window cleans booked in over the Christmas period, we recommend the earliest possible booking (November) to make sure your windows are serviced before Feb 2018. Enquire below for availability to avoid disappointment. Share your details with us below, so we can share a cost estimate for your window cleaning. We usually respond within hours. Use this form and we will call you back. Use the DETAILED QUOTE form below for sharing more info about your windows right away. Use this form to share more detailed info about your job. Aside from calling us directly, this is the fastest way to get a quote. We usually reply within hours. When do you want your windows cleaned? We'll do our best to work around your schedule where possible. Please let us know as much information as possible using the check-boxes. Please share your mobile number for SMS confirmations. Please Include Unit/Shop Number and Street Number. Is there any further info we need to know before quoting? Window cleaners servicing all of Brisbane.